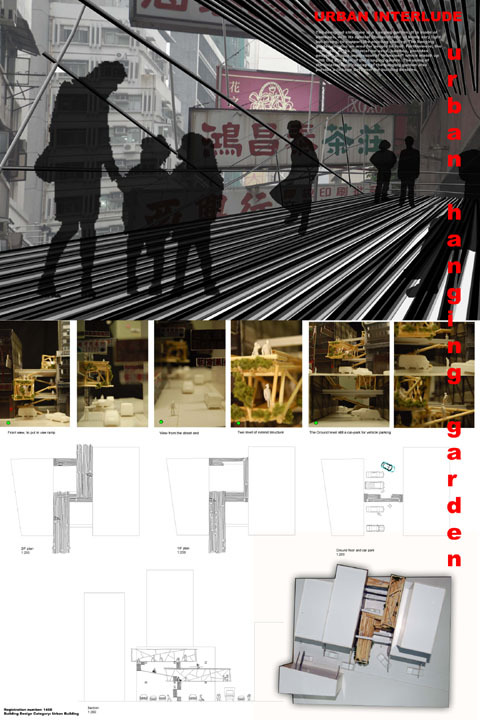 Revitalization is one of the most important aspects of redevelopment in Hong Kong. Oftentimes, old buildings are demolished, leaving empty, unused spaces between the remaining buildings. 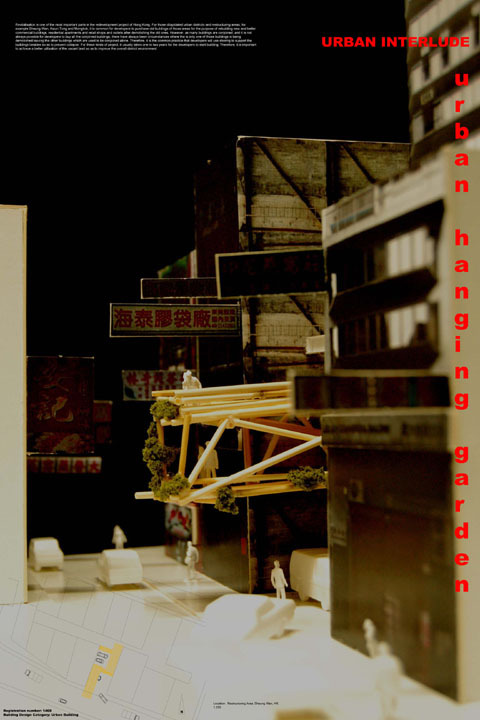 These bamboo hanging gardens are intended to provide a pleasant, livable space for citizens as well as structural support between remaining buildings.